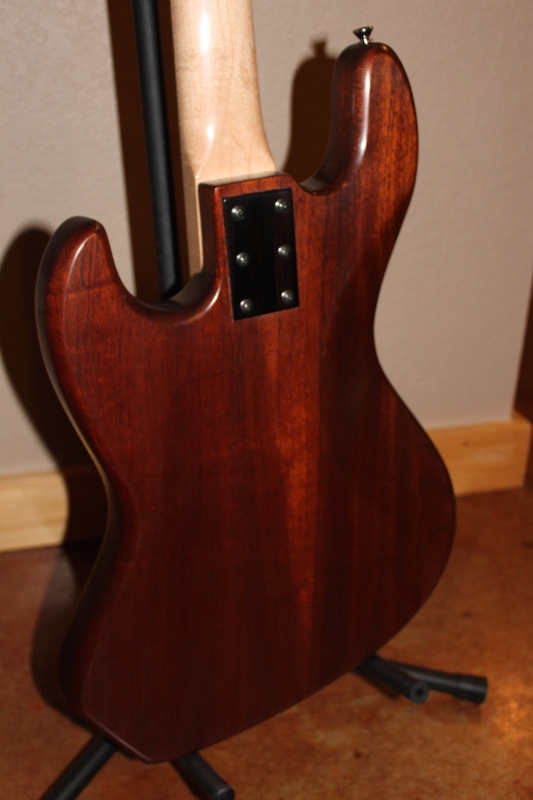 My first custom bass build, this was a no-name bass that looked like it was roughly thrown together in someone's garage. My cousin picked it up in a thrift store, but he soon realized it needed some work (a lot of work actually). 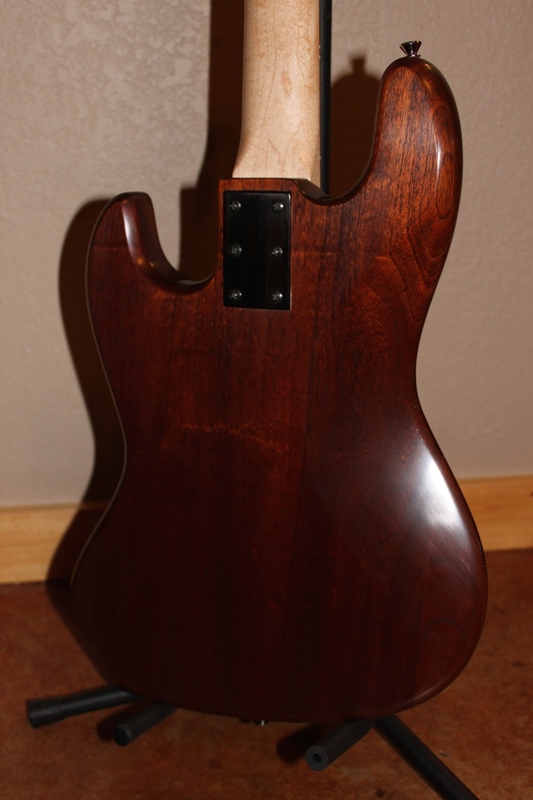 I was able to salvage the body, a nice chunk of mahogany, but the rest of the bass was useless. Starting with a pre-shaped maple neck w/fretless ebony fingerboard and some curly walnut veneer, this bass was soon on the road to becoming a stunner! The bass is now completed! You can see the latest pictures at the bottom. This has been such a fun project! I'm eager to build more like this in the near future. If you have an interest in purchasing this bass, drop by the shop to check it out!